Only the few lower layers of stone remain today, but it is of great interest because the lower half of the tomb chamber is exposed. Khufu was succeeded by his son Djedefre, who abandoned the Giza Plateau for a rocky crest some six miles (ten km) to the north, near a town called Abu Roash. He ruled for only eight years and probably never finished building his pyramid. Only the few lower layers of stone remain today, but it is of great interest because the lower half of the tomb chamber is exposed. There is also a pit for a funeral boat next to it. French archaeologists excavated the pyramid in 1907, and a quartzite head of this king, now in the Louvre in Paris, was found at the site. It may have once been part of a sphinx. Inside the tomb chamber of Khafre the adventurer Belzoni wrote his name. Belzoni was a giant of a man who originally came to Egypt to sell a water-lifting device he had invented, but the Egyptians were not interested in changing their way of life, so he turned his hand to archaeology and selling artifacts he collected. In May 2002, the director of the Giza Plateau announced to the world press the discovery of a previously unknown pyramid at Abu Roash. 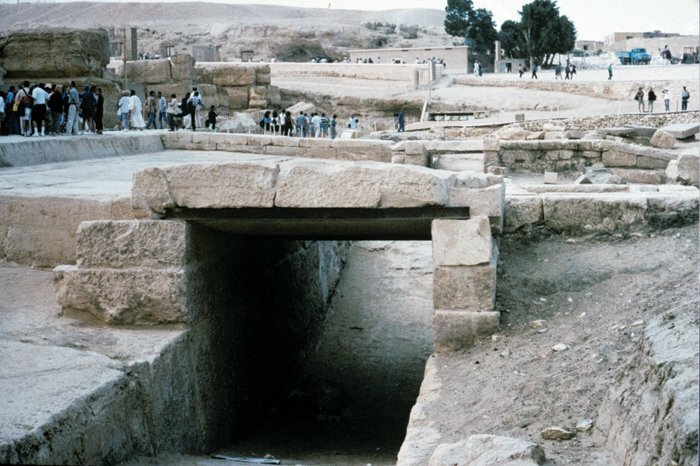 A Swiss team had been tidying up around the pyramid area and were startled to unearth the lower layers of a pyramid belonging to Djedefre’s queen. They also found the foundations of a nearby mortuary temple whose walls they partially reconstructed. The next king was Djedefre’s brother Khafre, who returned to the Giza Plateau, where he built a huge pyramid only slightly smaller than Khufu’s. This pyramid stands on a higher location on the plateau, and as a result it seems to be larger than Khufu’s pyramid. It also was originally faced with beautiful Tura limestone, most of which has been appropriated by local builders who apparently started at the bottom of the pyramid and worked their way up, taking the facing stones. Their depredations were fortunately arrested before they had completed their looting, and enough of the facing stones have been left near the top to give us a very good idea of what the pyramids must have looked like when they were first built. This pyramid is 704 feet square (214 m) at its base and it is 446 feet (136 m) in height, which resulted in an angle of 53 degrees, sharper than Khufu’s pyramid. The tomb plan is totally different from his father’s pyramid. 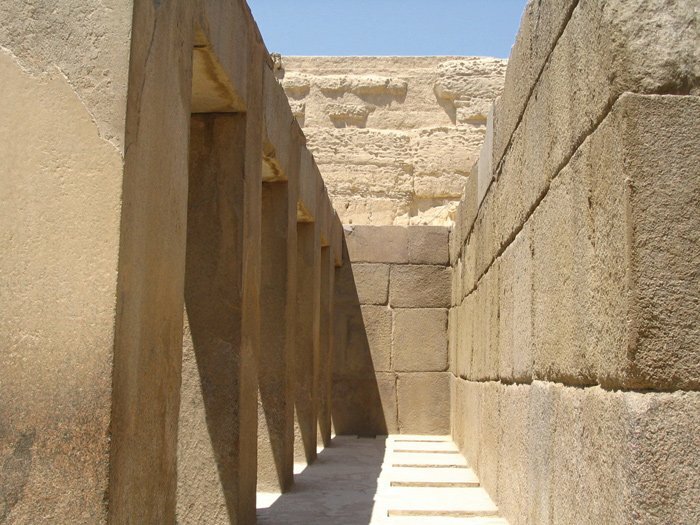 The entrance starts at ground level just north of the pyramid, and dips down below ground level where it continues horizontally toward the center of the pyramid where it again slopes up to the tomb chamber. From here can be seen another passage above the one used today, but it finishes in a dead end. It may have been intended as the original entrance, but the pyramid was enlarged and so an outer entrance was necessary. 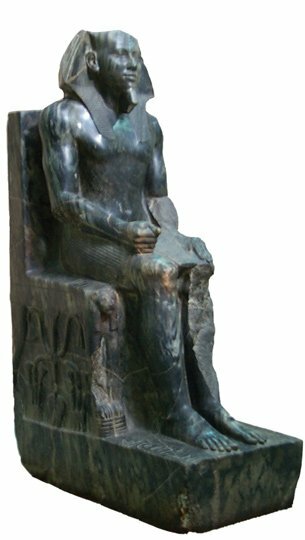 Many statues of Khafre were found in his Valley Temple and in the mortuary temple adjoining his pyramid. This tomb chamber has two floor levels, and the reason is not yet understood. 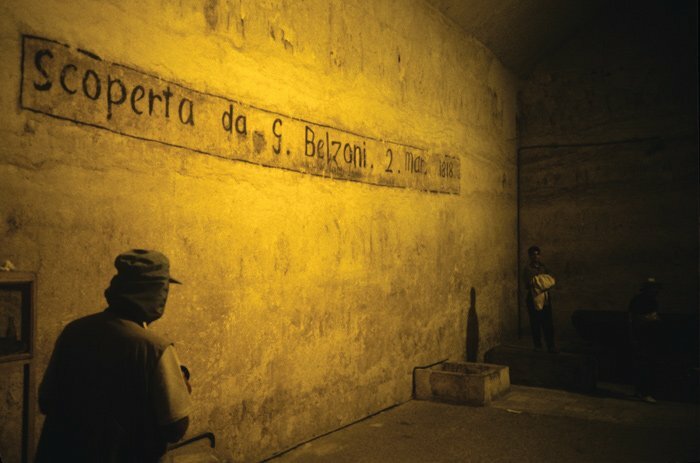 The sarcophagus is still there, as well as some large graffiti on the wall left there by Giovanni Belzoni, a colorful character who had a lot to do with Egyptian antiquities nearly 200 years ago. Belzoni was a giant of a man, over 6.5 feet (2 m) tall, who was born in Padua in Italy about 1780. He had thoughts of going into the priesthood but got sidetracked when he traveled around Europe looking for a job. In England he found employment in a stage show where he displayed his prodigious strength by carrying a pyramid of men on his shoulders. He also found a nice Irish lass by the name of Sarah who agreed to marry him. He was an intelligent man who had studied hydraulics, and he invented a device for lifting water which he thought would be a great success in Egypt, where most water had to be lifted out of the Nile to irrigate the wheat fields. He went to Egypt where he was favorably received by Mohammed Ali, the Pasha of Egypt, but tradition dies hard and the Egyptian farmers were not about to change their way of doing things, even if it was a better way. However, the British Consul came to his rescue by suggesting that he gather antiquities and send them to Cairo where the consul would find a sale for them. Belzoni liked the idea, though naturally he was not popular with Egyptian authorities or with other antique traders. He traveled all over Egypt and inevitably became involved himself in excavating. In the Valley of the Kings at Luxor he found the tomb and sarcophagus of Sethi I, father of Rameses the Great. He also managed to transport the huge head of Rameses to Cairo from whence it was later moved to the British Museum in London. Khafre’s pyramid is 704 feet square (214 m) at its base and was built at an angle of 53 degrees, slightly sharper than his father’s pyramid, so not so many blocks of stone were required to build it. Some of the original casing stones that once clad the whole pyramid still remain at the top. Those were the days when artifacts were there for the taking, and Belzoni helped himself to statues, papyri, and anything else that had sale value. His methods were ruthless, and battering rams and gunpowder were used when needed, though he was not alone in such practices. The science of archaeology had not yet been born. He returned to England in 1820 where he displayed some of his discoveries, which made him a very popular figure. He even published a book about his exploits. He returned to Africa, where he died in 1823 on his way to Timbuktu, but not before he had chiseled his name on the top stones of Khufu’s pyramid and left his graffiti on the wall of Khafre’s tomb chamber. Khafre’s pyramid has five pits that once contained funeral boats. From the east side of the pyramid a causeway goes down to the valley floor into an impressive funerary temple which is built of massive blocks of granite that had been floated down the Nile from Aswan, 620 miles (1,000 km) to the south. Just inside the entrance to this temple is a pit in which was a masterful life-size statue of a seated Khafre with a falcon Horus behind his head. It was found upside-down. Why it had been buried there and why upside-down is anyone’s guess. Khafre’s Valley Temple is at the foot of the plateau on the east side of his pyramid. It was built of huge blocks of granite floated down the Nile from Aswan, 450 miles (720 km) to the south. On the east side of this temple is a large area provided with seats to accommodate visitors to the sound and light show at the pyramids. In 1995, the area between the seating and the Valley Temple was further cleared to provide extra seating. During this process, the workmen were astonished to discover a small harbor connected by a canal to the Nile. Presumably, it was to float the barge with the body of Khafre to the Valley Temple from where it would be carried up the causeway to his pyramid for its final resting place. As with all the other royal burials, his body did not stay there. Incredulously, his sarcophagus was found to contain the bones of a bull. Who put them there and why, nobody knows. No doubt, the most famous feature of Khafre’s pyramid is the giant Sphinx, 240 feet (73 m) long and 66 feet (20 m) high, that was carved from the stratified rock, to guard the pyramid from the depredations of tomb robbers. It is on the east side of the pyramid next to the Valley Temple and faces the east. It had been carved from a rocky hill that once stood there, and the geological strata can be readily seen. This has given rise to some controversial speculation by Dr. Robert Schoch, a geologist who claims that on the basis of the erosion seen in these strata, the Sphinx is much older than Khafre’s pyramid. He proposed an age of some 10,000 years. While Schoch spent only a few weeks studying the Sphinx, James Harrall, a qualified geologist, had spent years studying this area, and he strongly disagreed with Schoch’s view. Needless to say, the experienced archaeologists in the area also ridiculed the idea. 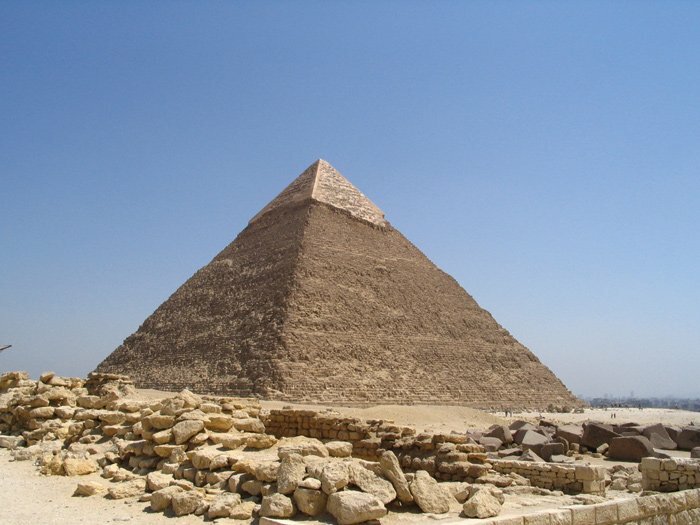 If Khafre did not make it, who was the king who did make it, and where is the evidence for the civilization that could have made it 10,000 years ago? Respected archaeologists Zahi Hawass and Mark Lehner, who have also spent many years excavating on the Giza Plateau, also flatly rejected the idea. Recently a small harbor connected to the Nile by a canal was found near Kafre’s Valley Temple. There has also been much wild speculation about a “hall of record” and secret passages under the Sphinx that are supposed to hold vital secrets about Egypt and its antiquities. There is supposed to be a conspiracy among archaeologists to conceal this vital information. It is true that there are passages under the Sphinx—in fact, a new one was only discovered in 1995—but they only lead to burial places for unknown bodies that were interred after the Sphinx was built. Being in a depression, the desert winds have continually piled up sand against the Sphinx, and it has been repeatedly cleared of the sand that engulfed it. In 1926, the French administration again cleared the sand from around the Sphinx, but that is not the only problem the Sphinx has to contend with. Atmospheric pollution is taking its toll and so is ground pollution. The many tourists now visiting Egypt require such a vast number of tradesmen and tourist industry employees to care for them that the ground is being saturated with the pollutants of commerce and transport, which are absorbed into the limestone. In 1988, some tourists who were standing admiring the Sphinx were startled when two huge blocks of stone suddenly broke off the right shoulder of the Sphinx and crashed to the ground in a cloud of dust in front of them. Restoration work has been carried out, and bricks have replaced much of the missing stone around the base of the Sphinx. This is no doubt essential to preserve this great monument, though it does nothing to maintain the sense of antiquity of the Sphinx. 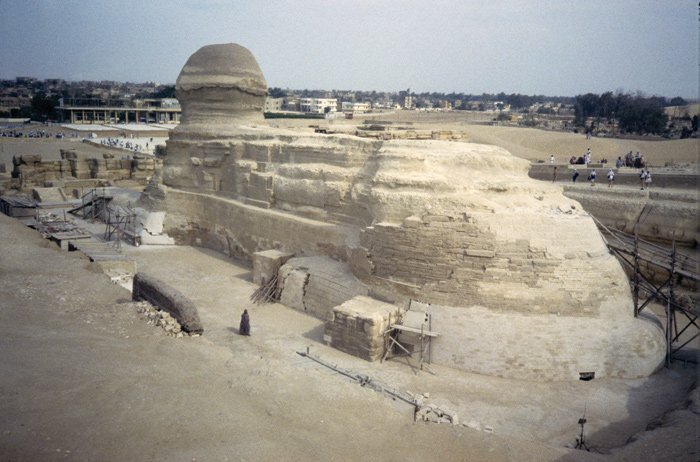 The Sphinx was carved out of a knoll to the west of Khafre’s pyramid and was presumably meant to guard its contents. In this it failed miserably because only an empty sarcophagus remains in the tomb chamber. Damage to the nose and beard of the Sphinx has been the object of much speculation. It has commonly been reported that Napoleon’s army used the Sphinx for artillery practice and blasted the front of the Sphinx. Napoleon was not only a great general, he was also a cultured scholar. He brought with him a whole army of scientists to explore Egypt and document its antiquities. We believe he would never have condoned such atrocities. However, Colonel Vyse did a lot of exploration work around the pyramids and also turned his attention to the Sphinx. Vyse was fond of gunpowder. He had already used it to blast away the granite plugs that blocked the lower entrance to Khafre’s pyramid, and he also blew a hole in the back of the head of the Sphinx. The hole that he left there was found to contain the drill he left behind and a large chunk of the Sphinx’s rear headdress. A contemporary of Belzoni was another Italian, Giovanni Caviglia, who was also prone to gunpowder. He was born in Genoa in 1770, and after spending a lot of his life sailing around the Mediterranean, finally made his way to Egypt, where he was employed by some European collectors to round up artifacts for them. He was a deeply religious man, and his conviction that there were mystical secrets to be found in the pyramids led him to explore them. He was the one to find the granite “dream” stela of Thutmose IV between the forelegs of the Sphinx. He also found some pieces of the Sphinx’s beard, one of which is now in the British Museum. Adults and children alike are fascinated by Egyptian civilization. 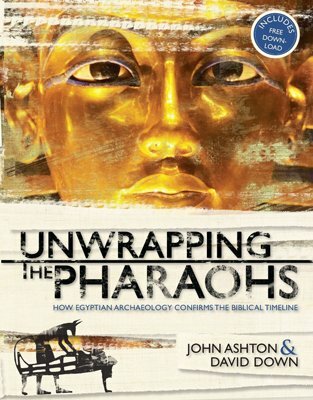 But most modern archaeologists have lately tried to use Egyptian chronology to dispute the biblical record. Secular textbooks and videos challenge the faith of students and discredit the biblical account of Exodus. 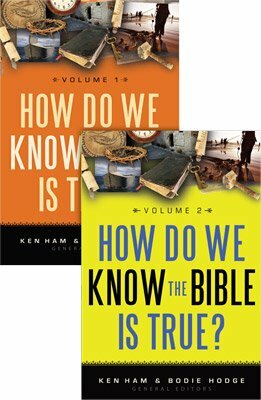 Those who wish to defend the accuracy of the Bible now have an incredible tool in this exciting book that provides compelling confirmation of the biblical account.